Inspect the optical link loss or locate faults in your fiber with the Distance Analyzer of your FLEXBOX in combination with our microOTDR SFP Transceiver S.OB1612.40.OD. The Distance Analyzer offers a graphical representation to display the total length of your optical fiber including all sub segments without additional equipment besides our microOTDR SFP Transceiver. 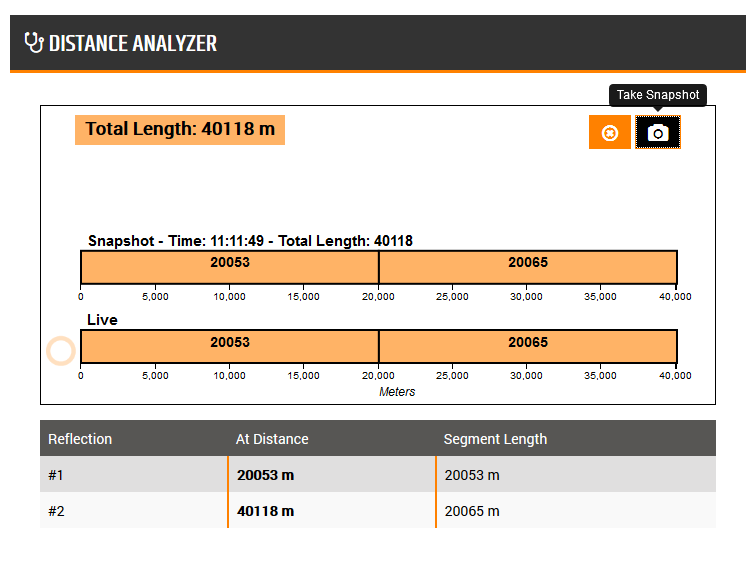 Comparing a snapshot of the previous 40118 meter long segment with the current setup. A comprehensible graph visualizes the fiber’s segments and their lengths in real time. You can create a snapshot of this graph, in case you do a documentation for your installation. The table below the graph will provide information about the specific measurements with reflection, distinct distance and the according segment length. The Distance Analyzer can handle single mode fibers of dimensions between several meters and 40km. 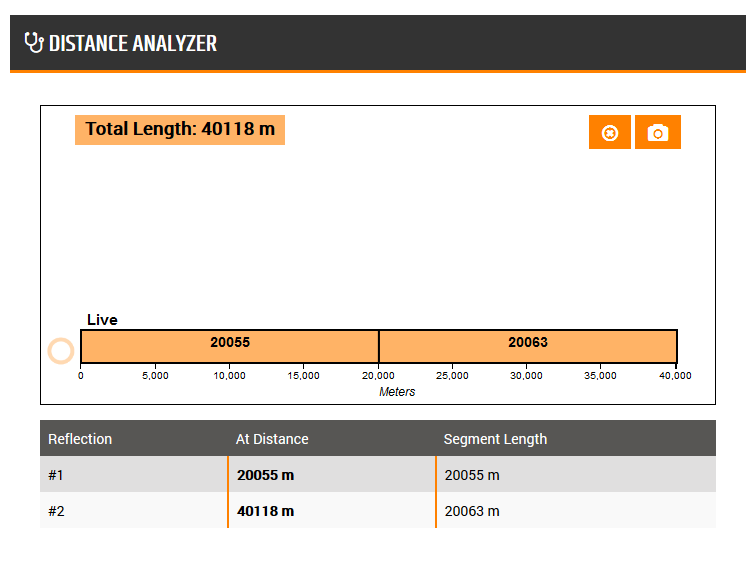 The resulting precision for measurements of fiber lengths > 500m is about 10m and of lengths > 5000m around 150m.